Turn your event into a unique paradise sliding resort, with one our coolest slide rentals. The 18ft. 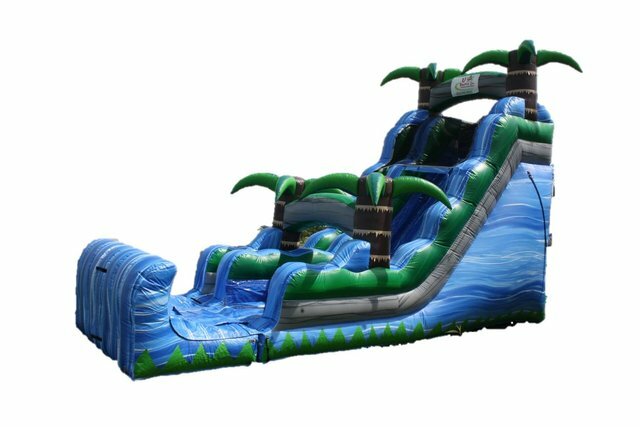 Blush Crush dry slide is an amazing inflatable with rich, vibrant, tropical colors, featuring a tropical themed 3D enviroment that your guests will love. Kids and adults will have fun sliding down this steep, slippery slide. Watch every guest climb so easily to the top with easy grip hand holds and easy climbing steps. View all your guests from one location, as the slide has all the action of sliding and climbing in the front. 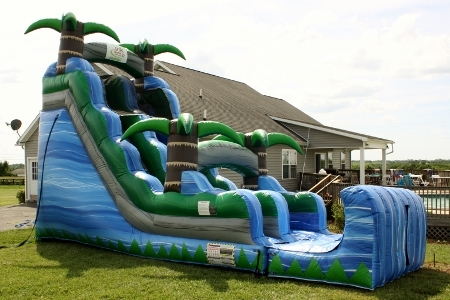 Our Kentucky customers have voted the Blue Crush as one of their favorite party attractions.